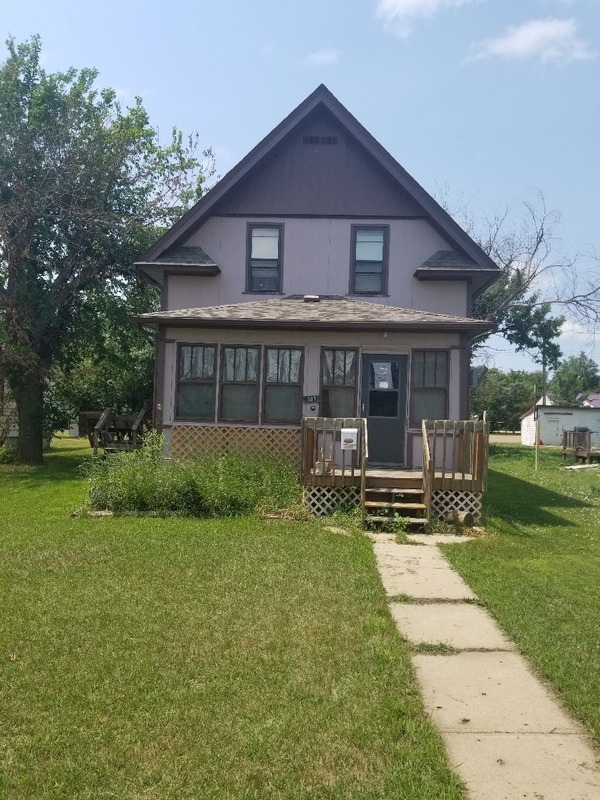 This is a rare opportunity to purchase a historic home in Lemmon, South Dakota at an absolute auction sale. The home is located close to the high school and a short three blocks from downtown. There are three bedrooms upstairs and a main floor master suite. This home boasts beautiful dark woodwork including door frames, banister and built in china cabinet. This property could be used as a rental property or transformed into a quaint bed and breakfast. Anyone interested in older homes and their restoration needs to be at this sale! The terms of this sale will be cash only with 10% down at the day of sale and the balance due at closing prior to August 31, 2018. This piece of history will be offered at absolute auction at 3:00, August 2, 2018 at Benny's Restaurant located at 200 Main Avenue in Lemmon, South Dakota. Call Broker/Auctioneer Shane Penfield with any questions or a showing of this unique property 605-374-7837.